tags: Some doors are better left closed. A detective investigates a mysterious motel room, which acts as a portal to an alternate universe. Detective Joe Miller comes into possession of a seemingly innocuous motel room key while working on a murder case. The key can open every door and take him into a motel room that seems to exist outside of normal time and space. However, if he leaves something in the motel room that did not originally come from there, it will be gone as soon as the room "resets"... He discovers that there are special objects hidden in different places. They don't look special, but they have special powers. 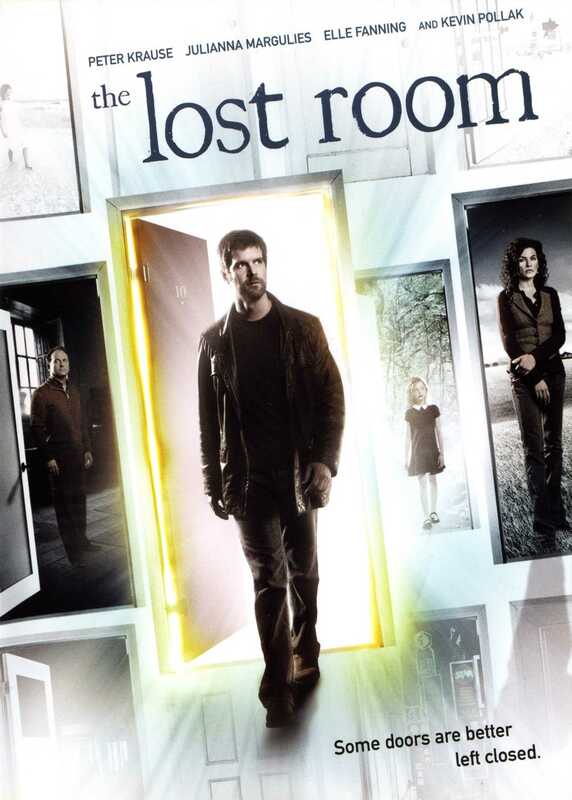 When his daughter disappears and he is framed for killing his partner, he must find a way to bring her back from the room, while working with different groups and people searching for the objects. But who can he really trust when everyone goes crazy after touching the objects... Afraid I can't tell you much about the show. I picked it up at the movie store, thinking it was a movie, quite unaware it wasn't. When I got home, there were 2 diskettes. I put one in, told the machine to play all the stories ...... and felt like I came in the middle of the show. So I switched them out and tried the second in the same procedure ...... and felt like I came in the middle of the show. It is rare for a movie to be written that I can't guess what the writers are thinking, but this one keeps the mystery surrounding it. The last movie to do this for me was "Identity" with John Cusack. In fact, there are a few similarities, but they are not intentional. If you enjoyed one, however, you will thoroughly enjoy the other. Great stuff so far. If you missed it the first time; don't pass it by a second. It is worth the watch! It's not a digital camera. It's the Pack of Cigarettes. The rectangular carton has a circular logo in the center which some people people interpreted as the retracted lens assembly of a point and shoot digital camera. Ultimately this question is left unexplained at the end of the series. A number of different characters offer different theories during the series, including that God was killed in the room. Whatever occurred, happened on May 4th, 1961. It is believed to have occurred 1:20:44 pm, the time at which The Clock stopped, but this is merely informed speculation on the part of characters. Other than the date, the only fact which is known about the event is that it was completely unremarkable. Eddie McCleister, the man who was The Occupant of Room 10 at the time of the event was unaware of anything occuring as the event happened. -The Key: Opens a door to Room 10, from where the user can exit to any place with a hinged door. To operate it must be used in a pin tumbler lock and on a door which is on hinges. Considered to be the most powerful object. -The Eye: A glass eye which, when placed inside the owner's eye socket, allows them to fire blasts which disintegrate human flesh. Also rumored to be able to heal flesh. Karl Kreutzfeld confirmed on himself that you can heal flesh with The Eye. -The Bus Ticket: Anyone touching the ticket will be teleported to a spot a few dozen feet above a highway outside Gallup, NM. The current owner has wrapped one end with duct tape in order to use it safely. -The Pen: When clicked it can fire blasts of radiation which can burn a human. -The Pencil: When tapped against a hard surface it produces a 1964 penny. -The Umbrella: Makes people believe that they know the owner. The current owner resides in Seattle so as to be less conspicuous. -The Scissors: Rotate an object along an axis of the owner's choosing. -The Cufflinks: Lower the wearer's blood pressure. Possibly a placebo effect. -The Quarter: When swallowed it allows the owner to physically manifest an object of desire. This only lasts until the quarter is passed. -The Comb: When run through the owner's hair it stops time for several seconds. -The Radio: When tuned to the right station it increases the owner's height by 3 inches. -The Clock: The Clock is permanently stuck at the supposed time of the event. When it is wound up it sublimates (change from solid to a gas) brass. -The Deck of Cards: When the face side of the deck is shown to someone it causes them to experience horrific visions, resulting in momentary incapacitation and lasting mental trauma. Most obviously used as a weapon, although the Order of the Reunification also used it on new recruits as an initiation. -The Glasses: When worn they stop all combustion in the immediate vicinity of the wearer. -The Polaroid: Apparently an undeveloped polaroid picture, when viewed in the space which Room 10 should have occupied it shows the owner what the room looked like at the time of the event. -The Nail File: When viewed it causes those not holding it to fall asleep. -The Box: Stops entropy within a certain radius. -The Watch: Changes a raw egg placed within the strap to an hard boiled egg. The Occupant: Originally Eddie McCleister, the man who was in Room 10, now it is Joe Miller. The Occupant is as indestructible as other Objects. In addition he can sense the presence of other objects. It is implied, although never confirmed, that he may have some limited ability to redirect the movement of the objects. For years Eddie McCleister kept the other objects from coming near his person.